The Italy pavilion incorporates the architecture of Venice the the elaborate decorations of Doge's Palace with elegant decoration, and a smaller version of the bell tower of St. Mark's Square. Standing atop one of the large columns at the entrance is a sculpture of the Lion of St. Mark, the other of St. Theodore, an important figure from Venice. Some forced perspective that draws your eyes toward the large open area in the back of the pavilion, creating an illusion that the columns are larger than they are. You can also get your pasta fix at L'Originale Alfredo di Roma Ristorante, a full-service restaurant that specializes in Fettucini Alfredo. It'll feel to some that Italy is a bit of a letdown, with little to see or do other than the recreated architecture. Location: The fifth national pavilion to the left as you enter World Showcase from Future World. Tutto Gusto wine bar with small plates. Tutto Italia Cuisine from the length of Italy. Tutto Italia Gelato Coffee and alcoholic beverages with an Italian flair. Via Napoli Casual Italian dining, focused mainly on wood-fired Neopolitan-style pizzas. Delizie Italiane Fancy Italian chocolates and candies. Il Bel Cristallo High-end crystal and glassware objects. La Cucina Italiana Imported dry goods and cookware. 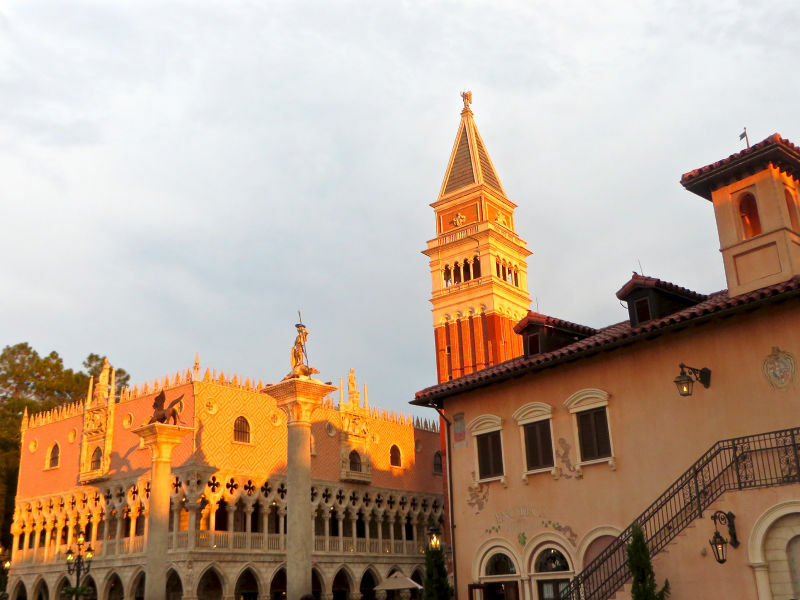 Here you will find a list of selected rides, shows, or restaurants that have been removed fromWorld Showcase - Italy, never to return. L'Originale Alfredo di Roma Ristorante Italian cuisine. Opened October 31, 1982; closed August 31, 2007. Replaced by Tutto Italia.